Semi-reliable British news source The Sun reports that terrorists are using Call of Duty and Halo to keep in touch with each other and train for terrorist attacks. "Kids' fave keeps their plots secret," The Sun blares, which may well be possible. Scum terrorists may be using Call of Duty voice chat over Xbox 360 or PlayStation 3 as they would Skype or burner mobile phones to discuss plans to kill innocent people. But why Call of Duty? Why Halo? The Sun reports: "Sources say plotters choose realistic conflict games so they can mask their deadly discussions as harmless web chat." Oh, yes. 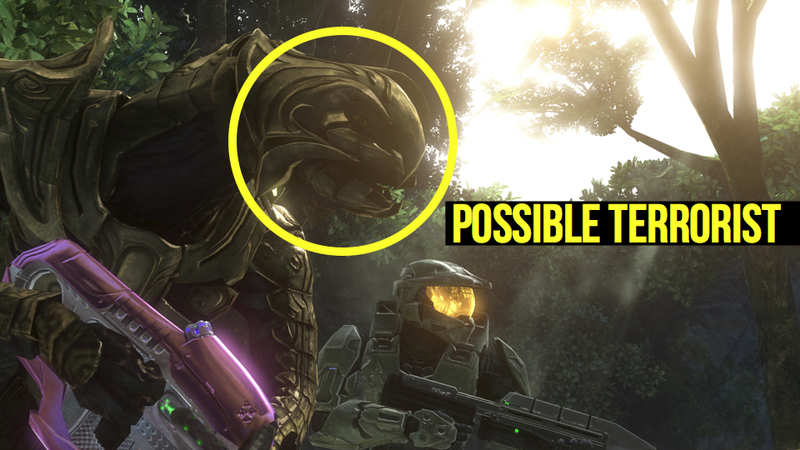 That's why they play Halo, of all games. 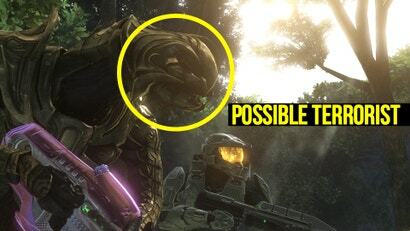 This makes total sense unless you know anything about Halo and the wide gulf between it and the phrase "realistic conflict". But maybe Call of Duty is a good fit for terrorists? After all, the paper does report that: "The terrorists choose incredibly realistic 'first-person games' where the controller works through a complex simulation of war scenarios, carrying out missions and battling enemy fighters." We can only hope that the terrorists are stupid enough to consider Call of Duty to be "incredibly realistic". If the next big terror plot is architected through Call of Duty, may we only have to wait for the terrorists to fall back and let their health regenerate before the authorities take them out. When they encounter those QTEs IRL they'll bring the world to its knees. Terrorists gonna plan ahead man!!! They're ready for Master Chief now!!! Sure, laugh now. But when the flood invade earth who are you going to turn to? The army? Pft, they're unprepared. Ahh, so that's why WOW's numbers have dropped, all the terrorists are using COD and Halo now.